WAKEFIELD, Mass. - The Hockey East Association is pleased to announce the Top-Three Best Coaching Performances in Hockey East history presented by Humboldt Storage and Moving as the league continues its 25th Anniversary celebration. These moments were chosen in a vote comprised of Hockey East fans and members of the league’s 25th Anniversary Committee. 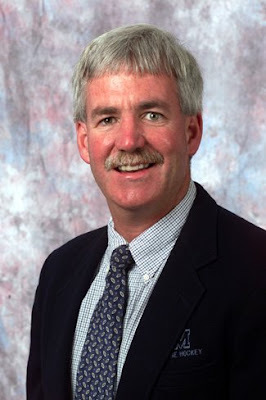 Earning the most votes was Maine’s Shawn Walsh for his coaching efforts in leading the Black Bears to a remarkable 42-1-2 record and a National Championship during the 1992-93 season. The memorable 5-4 come-from-behind win against Lake Superior State in the national title game was Maine’s first-ever NCAA title and also marked the first time a Hockey East school captured the national crown. Maine’s league record that season was 22-1-1 as they took home the Hockey East regular season title and also won the Hockey East Tournament with a 5-2 victory against Boston University in the league’s 1993 title game at Boston Garden. Coming in at second place was Boston College mentor Jerry York’s coaching performance during the 2007-08 campaign. York led the Eagles on a tremendous late-season run, winning his 800th career game, a Hockey East Tournament Championship (his sixth) and an NCAA Championship (his third overall and his second with Boston College). His team finished fourth in Hockey East during the regular season, but played inspired hockey during its eight-game win streak in the post-season that culminated in BC’s 4-1 win against Notre Dame in the NCAA Championship game. Rounding out the Top-3 is Merrimack’s Ron Anderson who provided one of the most stunning moments in league history when his 8th-seeded Warriors upset #1 Boston University in a best-of-three Hockey East quarterfinal series. Anderson’s crew opened the series with a 4-1 victory before falling on the second night by a margin of 6-5. The deciding game was a nailbiter with Merrimack holding on for a 5-4 win - thanks in part to some stellar netminding from current Merrimack goalie coach Tom Welby - and advancing to the 1998 Hockey East Championships in Boston. Hockey East’s Best Coaching Performances were chosen by a fan vote through the league’s official website – HockeyEastOnline. com - and votes from Hockey East’s 25th Anniversary Committee, which includes representatives from each Hockey East school. Throughout the season, fans have cast their ballots for Hockey East’s All-Time Team, Top 25 Forwards, and Top 25 Defenders. The results in these categories will be unveiled as part of Hockey East 25th Anniversary Tournament celebration. In addition to these major categories, a number of other ballot questions appeared at regular intervals throughout the year. All fan voting is now complete. The league has already announced the results of eight previous polls conducted during the 25th anniversary celebration, including: Top Goalie (Chris Terreri - PC), Best Goal Scorer (Brian Gionta - BC), Best Playmaker (Paul Kariya - Maine), Best Defensive Defenseman (Brian Leetch - BC), Best Defensive Forward (Chris Drury - BU), the Naukabout Unsung Player (Scott Clemmensen – BC), Top-3 Most Memorable Moments and the SwingJuice Top-3 Best Individual Performances.